Minsmere Are Stone Curlews still nesting at Minsmere? 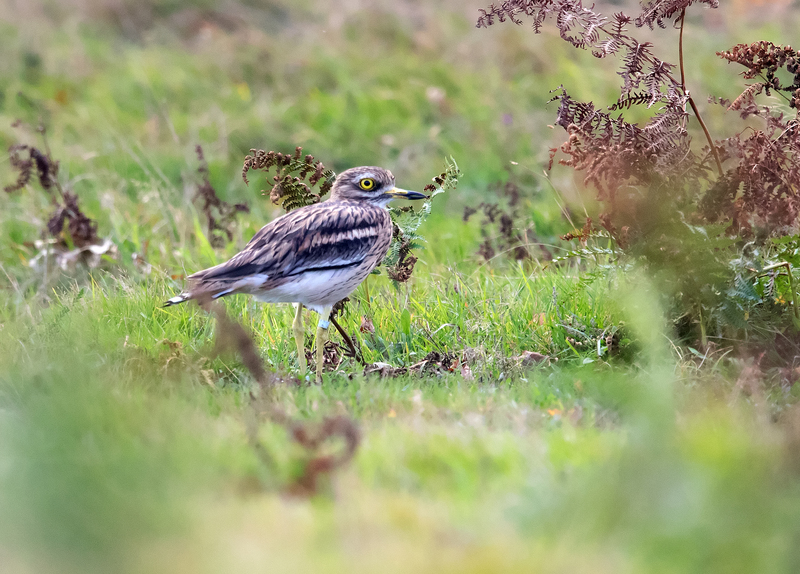 Ive been reading a News Item about Stone Curlews on the RSPB website and the article that they nest on the Suffolk coastline near to Minsmere. Which seems to suggest that they now don’t actually nest at Minsmere. I remember on Springwatch at Minsmere 2-3 years ago, Springwatch had live cameras on a Stone Curlews nest at Minsmere.. Can any staff from Minsmere confirm whether Stone Curlews still nest at Minsmere. I hope my worries don’t turn out to be true. There are several pairs of stone-curlews that nest at RSPB Minsmere, and the population has been increasing since they recolonised in 2003. However, as they are very sensitive to disturbance, we do not publicise locations on the Internet. Once birds are settled on their territories, we are usually able to direct you a suitable place where you can watch them without risk of disturbing them - please ask at the visitor centre on arrival for details. Once the breeding season has finished from about mid September we can usually direct you to a viewpoint where you might see them in small post-breeding flocks. Again, please ask in the visitor centre for details. Otherwise, the best place to watch stone-curlews is at the Norfolk Wildlife Trust reserve at Weeting Heath, near Brandon, where they can be safely watched from a hide. I know they nested at Minsmere a few years ago. I was worried that in a news item on the RSPB website, because of last years late snow in March 2018 that they had been struggling and I’m glad they are nesting still at Minsmere. I’m not a twitcher and I don’t disturb any wild bird or animal whether common or rare. I’m really pleased they are doing well at Minsmere, and hopefully that it will continue.